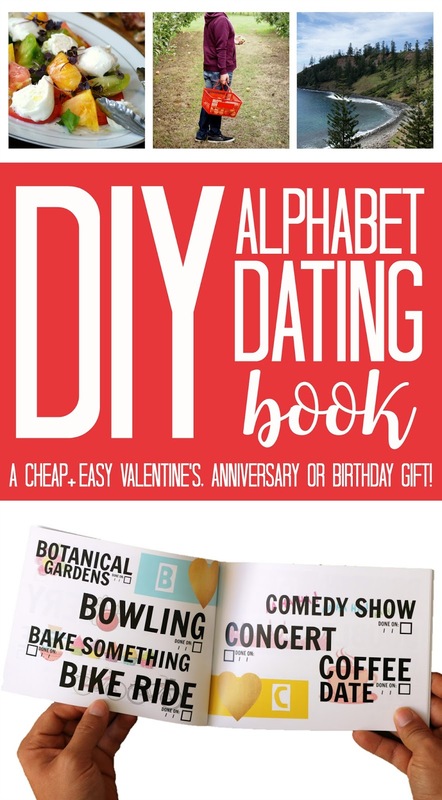 DIY Alphabet Dating Book - A Cheap, Easy and Homemade Gift Idea! I love my husband, I really do. He's awesome in so many ways and great at so many things... but there's one things he tends to be pretty hopeless at... deciding what to do. Whether we're heading out on a date night or just looking for something to do on the weekend, Jesse almost always makes me choose. Up until recently, we had our DIY Date Night Jar which has been so popular on the blog, however, we'd done all of those dates and I decided I needed to come up with something even better - and that's where this Alphabet Dating Book came in! For Christmas, I gave Jesse this book along with a challenge - to see if we could fit at least half of the dates into 2017. Little did I know, Jesse loved it - and thus I decided I really needed to share it with you too! It's a super simple DIY gift idea that can be made in a million different ways - and it doesn't even need to cost a penny. The idea is pretty simple. 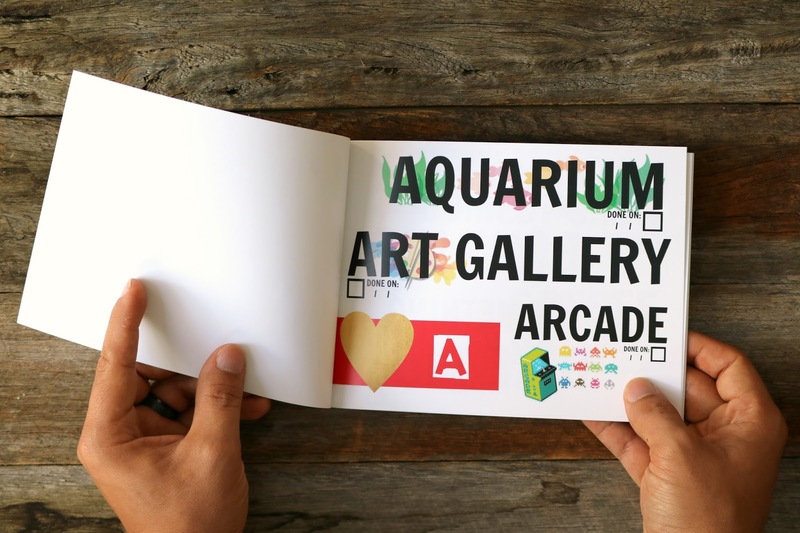 You create a book with date ideas for every letter of the alphabet. 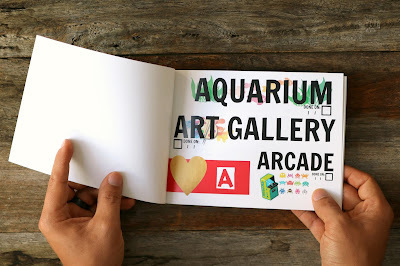 Since we already have a bunch of scrapbook style books, I decided to get this one printed. It ended up costing me less than $15, including postage (I used Kmart's print service but Vistaprint also have really great global prices) as I went for a small soft cover photo book. 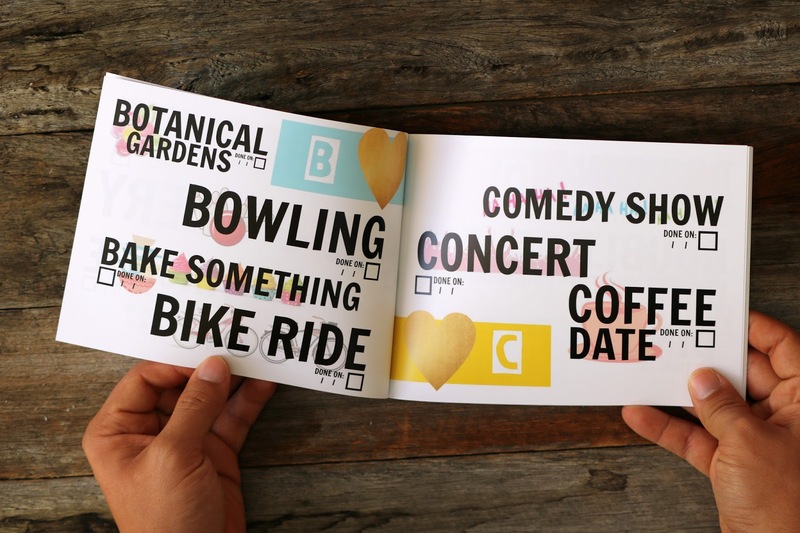 As you can see, the date ideas each have a check box next to them and a date spot so we can tick them off and mark down the date we completed them. Both Jesse and I are the type of people who LOVE crossing off to do lists so he's excited to tick them all off and look at what we've achieved. 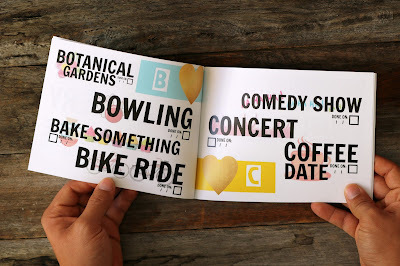 The date ideas can be tweaked and changed to suit your interests, however, I thought I'd share our dates to help inspire you in creating your book! But tell me, what are some of your favourite date ideas? And what would your dream date look like? I feel like mine would be more of a date day (I'm all about that quality time!) spent just hanging out and doing whatever... especially if it was outdoors in the sunshine!